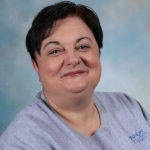 Experience – I have extensive experience in pediatric nursing, business, and early childhood education. Family – Married for 39 years with 2 adult daughters and 2 amazing grandchildren. “To the world you may be just one person, but to one person you just may be the world” That person is YOUR child! It was in 2005 that I decided to open my first childcare facility in Port Charlotte, Educare Learning Center. This decision was based on more than four years of research and founded on the idea that it is possible to run a high quality facility that brings together the best childcare services with research-based educational programs while modeling the most up-to-date technology to ensure the safety and security of every child. 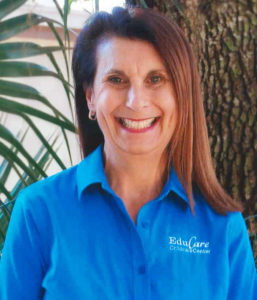 In early 2010, EduCare expanded with the addition of EduCare Academy in Bonita Springs. I am proud of the reputation for excellence that EduCare has earned and am looking forward to even greater achievements in the years to come. Experience – I have been with EduCare since 2007. I discovered my passion for working with children while serving as the president of the Parent’s Association at my son’s school in New York. Once my children were of school age, I began working for the New York City Board of Education as a teacher’s aide and eventually became the supervisor for all teacher’s aides at PS97x. Languages Spoken – Italian, Spanish and English. Family – I have a wonderful husband and we have been married for 34 years, and have two grown children whom we love very much. I love to bring my creativity and artistic talents into the classroom, helping teachers with holiday and seasonal projects. 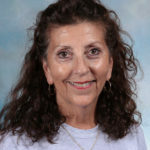 Experience – I have 24 years of child care experience including working at EduCare since 1989. I have worked with Pre-K children for 16 years. Currently, I am working with the infants. I love working with children and watching them grow and change! Experience – I have been working at EduCare for 11 years. Family – My 3 children are adults who have blessed me with several grandchildren. Experience – I have worked in child care for 4 years. I have worked at EduCare for the last 3 years. Everyday has many teachable moments and is a new adventure! I discovered my love of educating in 2014 at the Pokemon World Championships where a met a 4-year-old who wanted to learn to play the game. I really enjoyed teaching him how to play Pokemon and decided I wanted to work with children. Experience – I worked for 2 years in the Poconos and 3 years in Boyertown in the field of child care and have been with EduCare for more than 6 years. I love working with children and watching them grow. Experience – I’ve been working at EduCare since 2014. I began teaching in Sicily, Italy where my husband was stationed while serving in the US Navy. Family – Married with two adult children and two amazing grandsons. I enjoy working with children and providing them with a safe, clean, happy environment where they can learn, laugh, play and be themselves. Experience – I began my career in childcare in 1989, working with pre-school children and have worked with every age group. I enjoy the 4-year old’s the best. My family moved to North Port in 2001. Family – With my wonderful husband, we are raising our two beautiful children. We enjoy extended family time, trips, everything Disney & our favorite thing to do together is have Friday family movie nights. Experience – I was a para-professional in the public school system for 22 years. After working in retail for 11 years, I decided I really wanted to work with children again. I have been with EduCare since 2016. Family – I have been married 14 wonderful years. I love working with children… I feel like I am shaping the future one person at a time. Experience – I worked as a nanny while pursuing my education in child and infant care. Family – I enjoy spending time with my family and my new grandson. I am an advocate for the health, safety and well-being of each child. Experience – I have been teaching in the US since I moved here in 2014. I spent many years teaching in Romania and am fluent in 3 languages: Romanian, English and French. In Romania, I have a 4-year degree in teaching and psychology. Family – Born in Iasi, Romania, I am the second of 7 children. I have been married to my wonderful husband since 2014. Growing up, I helped raise my younger siblings. I enjoy teaching young children, instilling in them a love of learning, and watching them grow! One of my goals is to teach the children to smile and feel good about themselves every day. Experience – I have been working with children and in childcare facilities since 1996. I believe “knowledge is power” and aspire to develop a love of learning in every child. Experience – I’ve worked with children for 7 years, including 5 years at EduCare Academy. Family – I have 3 beautiful girls and a hardworking husband. I like working working with children of all ages, but love working with infants and one-year-old’s the most. As EduCare’s cook, I like preparing the food for each and every child. The best part is getting to be involved with all the students! Experience – I have been working in the infants classroom at EduCare for two months. Certifications – I am taking online classes and working towards my certification. Family – My husband and I have two wonderful children. I love every moment I spend working with the babies and enjoy working at EduCare. The staff, family and children are a pleasure to be around. I wake up every morning, happy to go to work. Experience – I’ve been working with children for four years. I love to read and share my love with of reading with the children. Childcare is my passion. I love being a part of the children’s lives. They are our future and I am proud to help raise them. My hope is for all children to succeed in life. 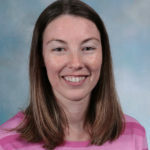 Experience – I have 19 years experience working with children and four-year-old’s. My specialty is working with children between the ages of 3 and 4. Certifications – I am currently working towards my CDA (Child Development Associate) Credential. Family – I have four wonderful sons, of whom I am very proud. Experience – I have been working as a with Preschoolers at EduCare for about a year. I love the work I do with the one and two year old children! Certifications – Currently enrolled in online certification classes. Family – I have two beautiful daughters. I want to thank EduCare for this opportunity. I have a wonderful job and I really love working with babies and children of all ages. Experience – I have been working in childcare for 12 years, and have been at EduCare for 10 1/2 years. I have worked with every age group in my time here. 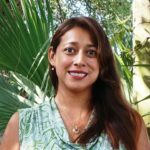 Certifications – My certifications include CDA (Child Development Associate) and Florida Director Credentials in Child Care and Education. I also have my CPR and AED Red Cross Certifications. I am a member of FACCM (Florida Association of Child Care Managment). Family – I have been married for 18 fantastic years and have three children aged 17, 15, and 19. I am blessed to have been part of the growth and development of many children. I volunteer at my church where I am the director of the Sunday School program. Experience – I have been working with EduCare for several months now and enjoy working with all ages of children. Certifications – Taking online certification classes. Family – Together, my husband and I have 3 fantastic children. They say that “time flies when you’re having fun,” and every day at EduCare goes by very quickly! I feel blessed to be working here and to be working with a great group of women.